Have you ever collaborated with someone in your field? How about someone in your blogging niche? How did it go? I’ve had a lot of friends who said they have never done a collaboration because they had NO IDEA what it could possibly do for them. The funny thing is that when I told them all the things I’m about to tell you, they booked a collaboration the NEXT WEEK. Collabs do more than just create friendships; they expand and double your reach, email signups, and word of mouth. Consequently, they also positively affect your sales! It’s a twofer. Well, it’s more like a sixfer… since there are so many benefits! 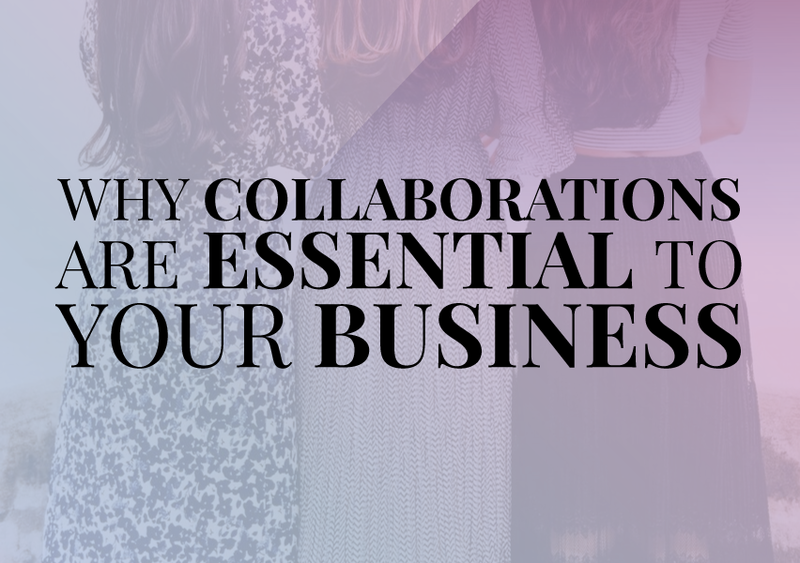 If you’d like to know what I told my friends about what collaborations do for your blog + biz and why collaborations are essential for your business, keep reading babe! When you collaborate with someone who has a completely different audience than yours, you immediately put yourself in front of people who don’t already know you, thus doubling your audience. It’s what happens when you watch a webinar hosted by your favorite blogger and they have a co-host who is totally amazing and you immediately sign up for their offering: they’ve just doubled their audience and created awareness for their brand in a completely different area of the web. I always recommend to beginner bloggers that they guest post for authoritative figures (which can be a breeze if you know how LINK THIS). When crafting a guest post, it’s important to review the rules the host has laid in place for guest posters and follow them closely. If it states that there is no promotional content allowed – not even opt-ins – then you need to find a way to make those obvious to the readers in a different way. One possible method is by linking former posts that have the same opt-in as the guest post you’re creating, and doing it by writing “RELATED READ: Title of Blog Post Here”. That way, if the reader is truly interested in the topic, it drives them to your old post which includes the opt-in. If the host allows promotional content such as an opt-in, I suggest simply text-linking them without creating images. It’s quite likely that your host will want to retain their branding, even though you wrote the post. If you feel it is an option, you can always suggest to your host that they create an image for you, but never demand it. It’s an honor for them to let you into their space online; don’t forget that. By adding these epic opt-ins to your guest post content and constantly promoting it (because you should be promoting it – that’s just collaborations 101), you’re now getting constant email signups at double the rate because you’ve got opt-ins in two different places… at least. I have a few blog friends that I would turn to for anything should I need a favor, and that’s all because we started out by collaborating. As the collaborations usually lasted a week or two (co-hosting a webinar can be an extensive process), we had a lot of opportunities to talk and get to know each other. Creating these relationships with other boss babes or killer bloggers can drastically improve your reach because you are now loyal to each other, causing twice the blog post shares, twice the interaction, and twice the recommendations/word of mouth. Collaborations are essential for your business if you’re serious about growth. Should you ever create a blogger’s resume, having the names you collaborated with can be really helpful for references. Was she easy to work with? Did she do her job well? How was she on camera? Etc… Those might be questions a potential client could ask your references, and if you don’t have references, this can damage your reach to clients and customers. Sort of like above, collaborators who often turn into friends will be willing to write reviews for your content, become that person that you can send everything to for editing, and in general, be your marketer without cost or obligation. They WANT to help you because they adore you, and you WANT to help them because you adore them! It’s a give and take, and it’s effective for both sides. Have I convinced you yet? I’m telling you: collaborations are essential to your business if you really want to succeed! If you want to pitch someone, though, that can be a kick in the balls. Figuratively, of course. BUT WAIT, there’s more! Just kidding… I’m not trying to pitch you. (Or am I? The world may never know.) We created a free Pitch Script just for you to download and take with you to your next collaboration pitch! Because I want you to be successful, we’re giving you the same pitch script we use ourselves and we can’t wait to share it with you. 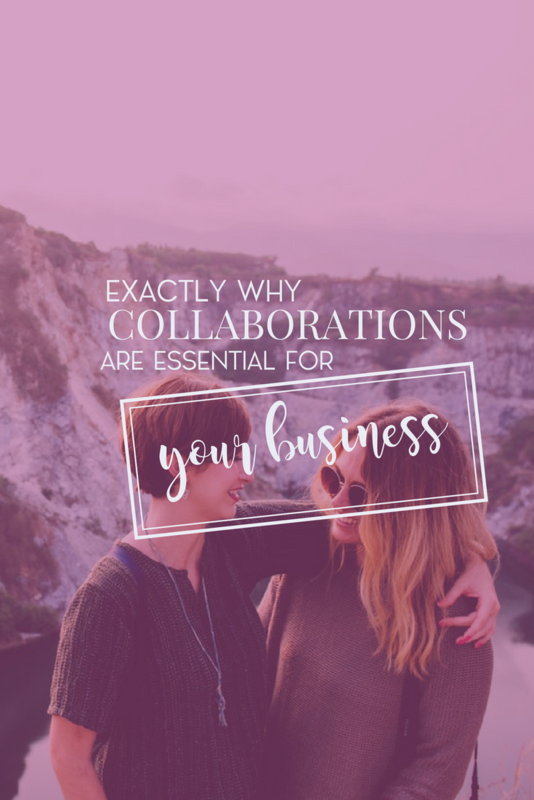 Say it one more time with me: collaborations are essential to your business. Write it down somewhere so you don’t forget. Join us for the masterclass! It’s time to stop being scared & unsure about collaborations. You can grow your business and movement exponentially with collaborations when done right!